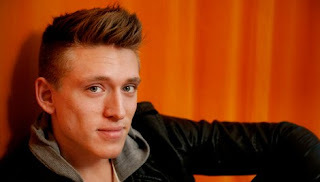 Danny Saucedo as many other hardworking artists among other is involved in singing demos ending up in someone else's performance. For example due to rumours he was working with the team which has sent some entries for next year's Melodifestivalen not from Danny's name though. However I can't remember any Danny's demo leaked so far and here we get a case! Fishing youtube today I've found this 1-minute snippet of nice pop-rock song "Alive" that I hardly imagine dance-Danny to release on his own album but we'd love to find it performed by some other Swedish pop-hero (for example Erik Segerstedt would fit it well) and hope it won't be wasted.